Continuing to post updates and general information regarding the current ‘The Journey to Ukazoo’ Kickstarter book project. The Kickstarter project runs to April 3 with a variety of ’rewards’ offered for your help in increasing the amount of books I can order from the publisher as well as opportunities to have your name in the book. 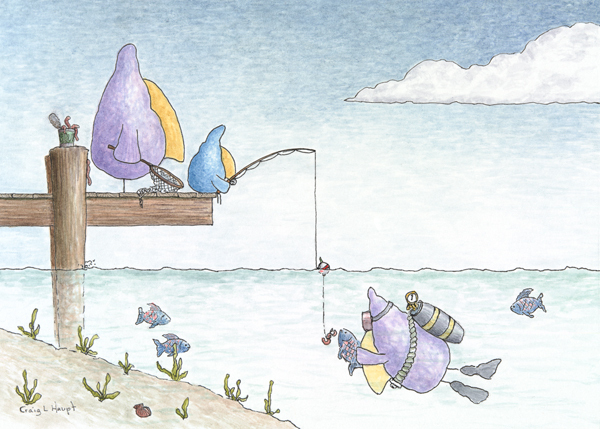 The artwork accompanying this post is the second of three 5 x 7 prints offered at one reward level. 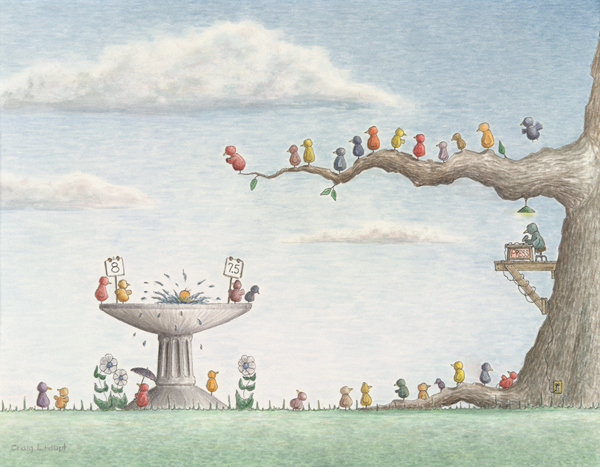 This artwork is also included in ‘The Journey to Ukazoo’ Book. My hope is that, at the very least, you are able to take a few minutes to visit this unique ArtStory project and Share it. Thanks to supporters of this book: Susan and Sherry. I have reached the initial goal which will allow me to print the book. The Kickstarter project runs from March 4 to April 3 with a variety for ’rewards’ offered for your help in increasing the amount of books I can order from the publisher. 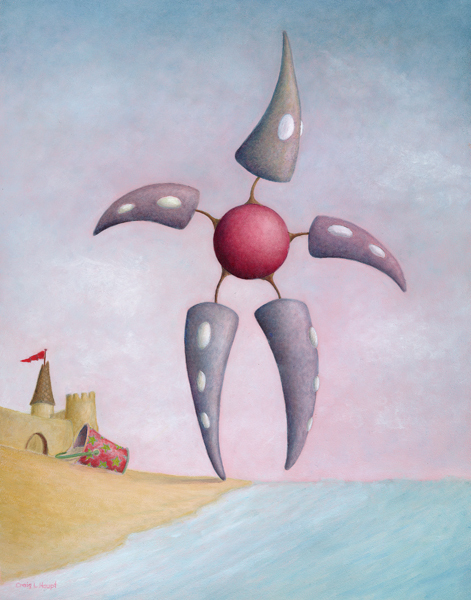 The artwork accompanying this post is one of three 5 x 7 prints offered at one reward level. My hope is that, at the very least, you are able to take a few minutes to visit this unique ArtStory project. What a week!! 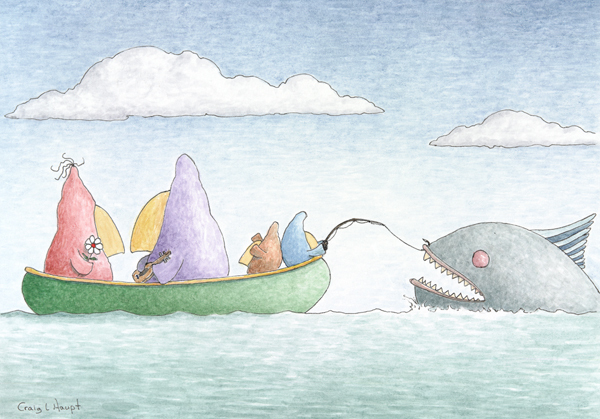 ‘The Journey to Ukazoo’ Book is now 100% funded on Kickstarter. But, the set monetary goal was a barebones goal with a small publishing run. Besides increasing the amount of books to be ordered, I would like to add additional design embellishments to the book and any monies invested helps enrich the content of the final product (the book). With 22 days to go, I still need all the help I can receive by ‘Sharing’ to make this Ukazoo book project as successful as possible. A final note: This book will not, I repeat, will not be available on Amazon, in bookstores, or as extra copies stacked in my closet once the Kickstarter project has ended. This is your only chance to own this unique one of a kind book. The video posted is only 2+ mins long and helps explain a little of what the project is. Visiting the kickstarter site will elaborate more fully on the project and of course an provide the opportunity to purchase the book, etc. Below is the Link to ‘The Journey to Ukazoo’ ArtStory book project. Now for the next phase of this journey. 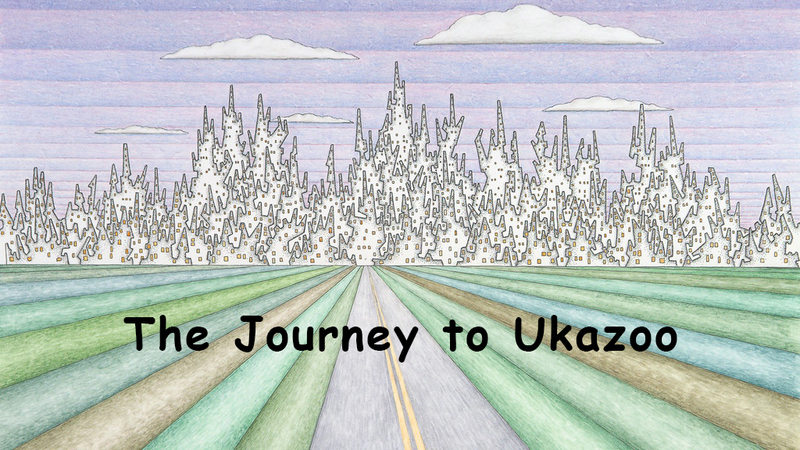 The Kickstarter Campaign to help fund the publishing of ‘The Journey to Ukazoo’ Book has been launched. The campaign lasts 30 days, March 4 to April 2. During that time I must reach a set monetary goal or I receive nothing. All monies donated are kept in escrow to either be released if funding the goal for publishing of the book is met or will be returned to the donors. Over the next 30 days I will continue to post samples of stories included in the book, provide updates on the Ukazoo book campaign progress, special deals on prints, and, at the very least, ask for your help in spreading the word of this Kickstarter project. At the very least visit the site and watch the video introduction. If anyone pledges, your name is not visible, I just get a tracking number so I’m not able to thank anyone personally till this is over. Intermingled with the 9 oil paintings displayed at Ukazoo Bookstore in 2014 were 23 smaller works called ’Thumbnail Sketches’ and I definitely mean smaller. 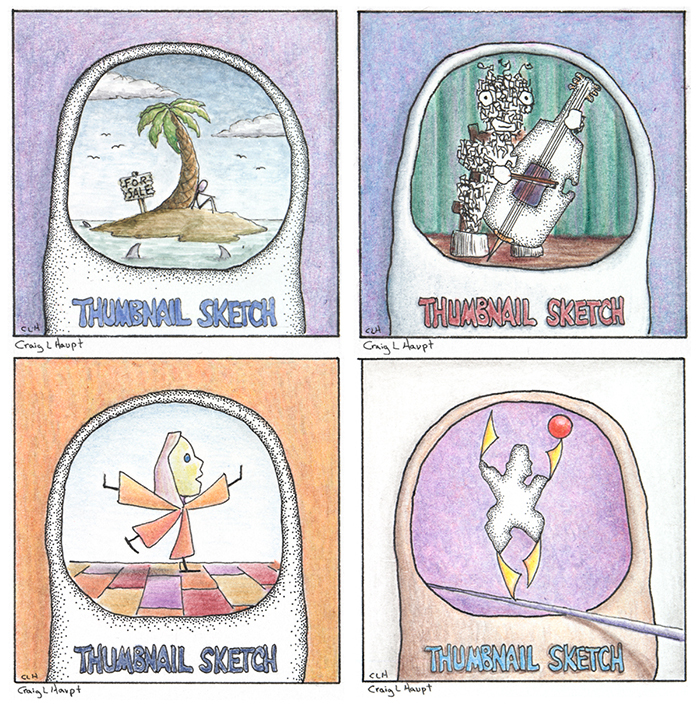 The drawings themselves are 2 1/4 x 2 1/4 inches and with mat and frame a robust 5 x 5 inches in size. In the book they will show four to a page. To the book project, the video portion is done and has been sent to a friend to compose the background music. Once the music track is laid in, I will then upload it to the Kickstarter worksheets and submit ‘The Journey to Ukazoo’ book project for approval to launch the Crowdfunding campaign. Checked with new postal rates, reviewed updated quotes for digital scanning/layout costs, and received an updated quote from the publisher to finalize what the monetary goal I will be asking for to publish the book.